One of my favourite things about working in a backpackers’ hostel is being able to help guests find cool places to go, cheap deals that they didn’t already know about and answer any questions they have. But recently, I was asked a question that had me puzzled – a girl wanted to know where she could go for a free yoga class. When lululemon opened in 1998 they shared their retail space with a yoga studio – and the relationship has remained strong ever since. Lululemon stocks a wide range of sportswear and accessories especially for cycling, running, yoga and dance. But, every weekend the stores move everything out of the way, roll out the yoga mats and host a complimentary yoga class. Check out the map on the website to find class information for your local store. 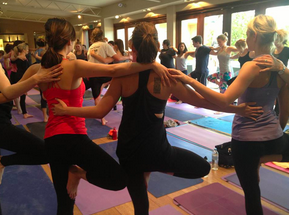 Yogarise was established by two yoga lovers who wanted to make yoga local to their friends and family. 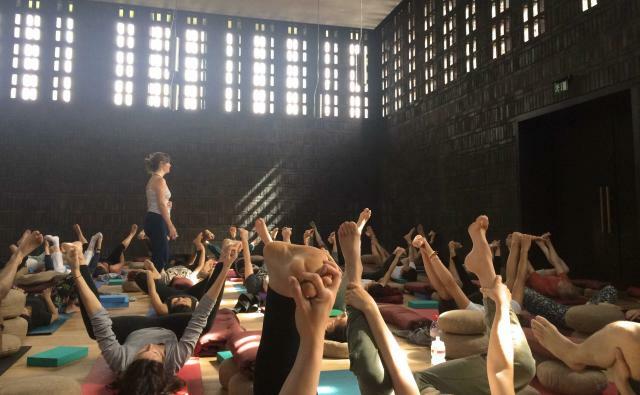 Located in the Bussey Building in Peckham, Yogarise offers a range of yoga classes catering the needs of all – beginners, experts, those wanting something energetic or those who just need some help waking up in the morning. Every Tuesday at 5pm and Friday at 11am they run a Yogarise class. The class is a community class and therefore offered for free, although the suggested contribution is £6 (which is still really cheap!). Sweaty Betty also offers free in-store yoga classes. All instructors are certified experts and classes are available to book one week in advance. You can search by store or class type. 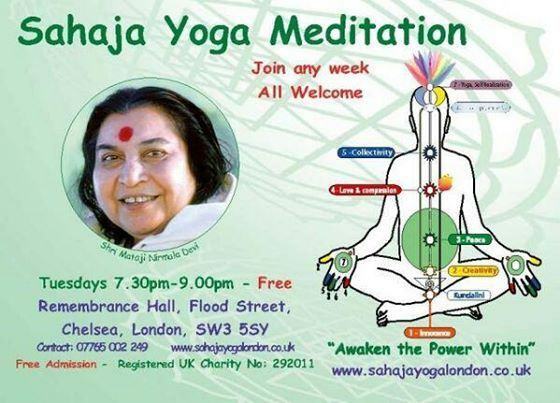 If you are more interested in the meditation side of yoga then you should head along to a Sahaja Yoga class. Sahaja Yoga classes are designed to help you achieve peace and improve your mental, physical and emotional state. The free meditation classes are made up of an introductory talk (perfect for beginners), a short video and then the guided meditation workshops. There is no need for a yoga mat – you sit on chairs! The classes are always free (you can leave a donation towards room hire if you like) and are held in various locations around London every day of the week. Have a look at their online timetable to find the venue closest to you. There are also a number of venues like the Light Centre in Moorgate and the Iyengar Yoga Institute in Maida Vale that offer a free session so you can see if yoga is right for you. If you are interested in yoga but have never been before, or you would like a wallet friendly option, then head to one of the free yoga classes that are held around London. The London Buddhist Centre also offers yoga classes free or by donation every weekday lunchtime at 12pm and there is no need to book. From January 2018 they will offer two lunchtime classes at 12.00pm and at 1.15pm. Find out more info at the website lbc.org.uk. 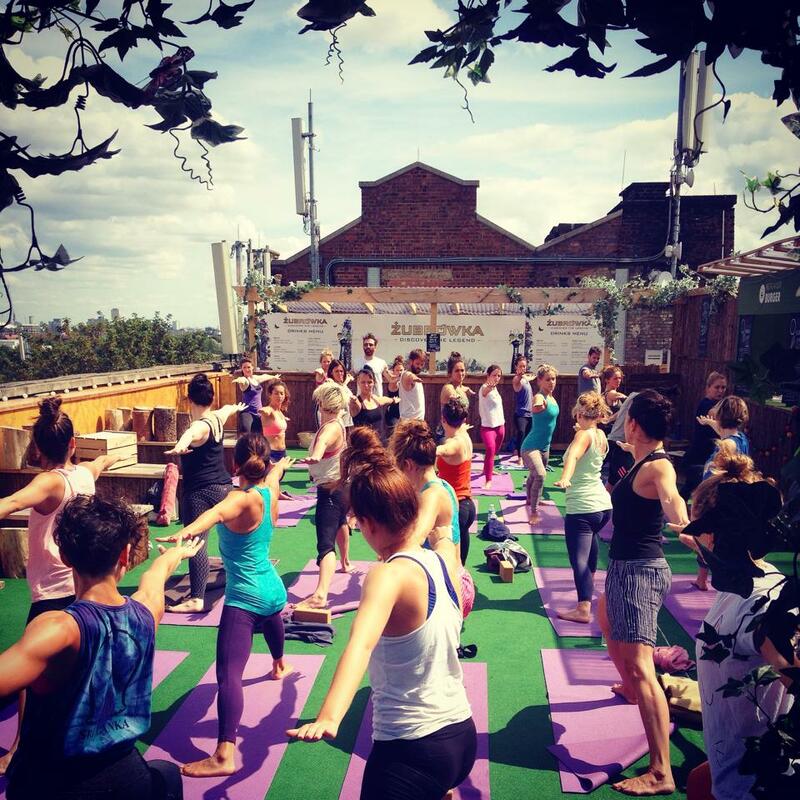 You can also find some great highly discounted yoga classes in London (up to 90% off!!!) via voucher sites such as Groupon, Living Social and Wowcher. If you have a nice Tip to share just drop me a line at [email protected]. If you are interested in free exercise then read our post on the Nike Training Club.